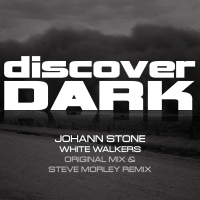 Icelandic producer and DJ Johann Stone debuts on the Discover Dark label with 'White Walkers'; a chilling, daunting and overtly cold production, brimming with acid, frost and darkness. Accompanying the original is a terrific remix from Steve Morley which applies a more prolonged groove to the original. Winter is coming, and the White Walkers move through the woods. 'White Walkers' is available now from Beatport and iTunes.